LAFAYETTE, Ind. 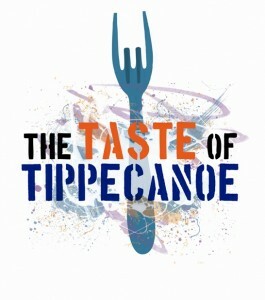 — The Taste of Tippecanoe is now accepting press kits and promotional material from musicians who would like to perform at the 31st Annual Taste of Tippecanoe. Press kits will be accepted until September 12, 2011. The Taste of Tippecanoe is an annual fundraising event for the Tippecanoe Arts Federation. The Tippecanoe Arts Federation is the umbrella organization and arts council for 14 counties in North Central Indiana. The TASTE highlights various genres of music to an audience of nearly 40,000. Performers in all genres of music will be considered and local and regional musicians are strongly encouraged to apply. TASTE 2012 will be held on Saturday, June 16, 2012. Electronic press kits will be considered but you must submit a written request to perform. Electronic press kits should be e-mailed to scott@tasteoftippecanoe.org.